Bushmere Estate - The best place for lunch in Gisborne. Walk Gisborne - Walk Gisborne is a two or three day hike from spectacular farm to expansive coastal scenery - you will experience the East Coast's welcoming hospitality, comfortable country accommodation and delicious cuisine from the finest local produce, complemented by award winning wines. Gisborne District Council - Unitary authority responsible for administration of Gisborne region. Whale Rider The Movie - Award winning film shot in Whangara. The Gisborne Herald - Gisborne's regional newspaper. Tourism Eastland - Gisborne Visitor Information Centre. Waihau Bay B&B - Beachfront Accommodation, Waihau Bay, East Coast. Tui Lodge - Luxury Bed and breakfast accommodation at Te Kaha, East Cape. Waikawa B&B - Wake to the Waves . . . at Waikawa Bed & Breakfast and Snapper Bach. Oceanside Apartments - Barry and Jan welcome you to their luxury apartments situated at beautiful Oruaiti Beach. This safe and sandy beach is considered by many to be the best on the East Cape. 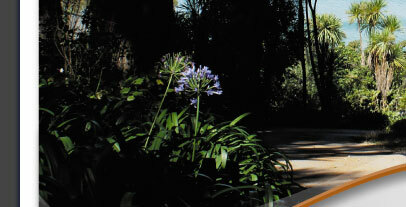 Leighton Lodge - Come and enjoy the tranquillity and peaceful environment of this Coromandel Peninsula paradise. Portside Hotel - Enjoy the understated elegance and personal service offered by the Portside Hotel in Gisborne. Blue Castle Accommodation - New Zealand Accommodation - Holiday Homes, B&B Hotels & Motels. At Home New Zealand - Promoting the growth and quality of farm and home hosting in New Zealand. Kiwi Accommodation - Guide for Accommodation in New Zealand, incorporating video and maps of New Zealand and exstensive accommodation listings. New Zealand Accommodation - Online guide to New Zealand Accommodation. Air New Zealand - Air New Zealand's official site offering cheap flights, airfares, holidays & travel packages in New Zealand, to Australia, the Pacific and worldwide. InterCity Coachlines - Travel to more than 600 destinations nationwide and minimise your carbon dioxide emissions with InterCity, New Zealand's national bus network. Interislander - Interislander is the Cook Strait Ferry from Wellington & Picton linking the North & South Islands in New Zealand. 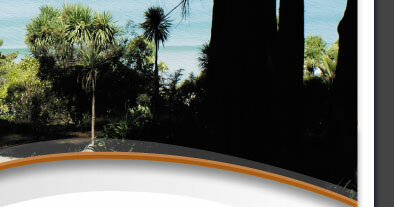 NZ Tourism - New Zealand accommodation and information resource for New Zealand travel. Register and promote your New Zealand Travel & Tourism business for FREE. Surfing With Frank - A unique New Zealand Surfing Experience. All Blacks Rugby - The official website of the New Zealand All Blacks rugby team and rugby union.